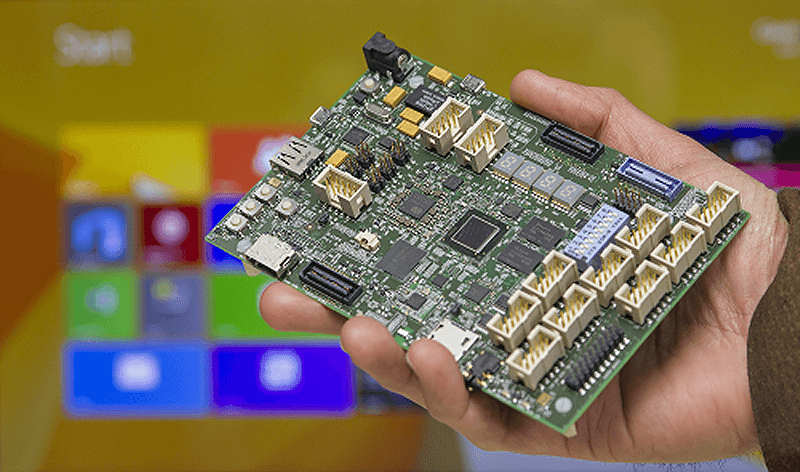 Arduino, Raspberry Pi and similar hobby boards have proven incredibly successful among enthusiasts and educational institutions which is why Intel and Microsoft have joined forces to create a board of their own. The two technology powerhouses collaborated with hardware maker CircuitCo (think MinnowBoard and BeagleBone Black) on a board called Sharks Cove. The board, compatible with both Android and Windows, is powered by an Intel Atom Z3735G quad-core processor clocked at 1.33GHz (up to 1.88GHz) with integrated graphics alongside 1GB of DDR3 memory and 16GB of onboard flash storage. There's also a microSD card slot for expanded storage, HDMI, a MIPI connector, USB 2.0 and a micro-USB port for power. Ethernet and Wi-Fi are both missing so you'll need to add those yourself via USB if you desire. While Microsoft's new board may be competitive in terms of performance, the same can't be said with regard to price. At $300 (which includes the hardware, a Windows 8.1 image and other utilities), it's far more expensive than the $35 Raspberry Pi B+. Microsoft stands by the price, however, and claims it's best suited for the development of software and drivers for mobile devices that run Windows, such as phones, tablets and similar system on a chip (SoC) platforms. Those interested in Sharks Cove can pre-order the hardware as of writing through Mouser Electronics.